When you think of plumbing repairs, a few questions immediately come to mind like, "How much is this really going to cost?" or "Will they come back if this isn't fixed right?" and "Are they going to get my house dirty?" At Smiley Plumbing , we realize that people may have had a bad experience with other plumbing companies. We want to reassure you that you can trust us; we are ready to answer all of your questions right up front. We have a fast response policy whenever you call for our plumbing services. We know that plumbing problems are one of the most urgent emergencies that homeowners have to deal with; we get back to you as quickly as possible. We offer 1 hour arrival and Emergency Plumbing service. Smiley Plumbing can fix all type of plumbing problems and take care of all your residential plumbing or commercial plumbing needs. So whether your problem is a clogged drain, a broken water heater, or you’re a looking to remodel or install new plumbing equipment and fixtures, Smiley Plumbing has your needs covered. And that’s not all! If you want to learn more about Smiley Plumbing and how we can make your plumbing systems and your life flow smoothly, feel free to give us a call! 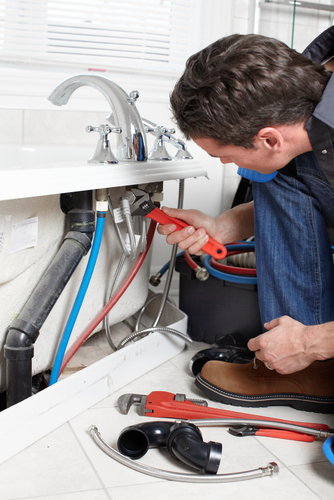 Our highly skilled and certified technicians would love to assist you with all of your plumbing needs.